Laura Bösenberg has become a homegrown favorite at Cape Town City Ballet, in Cape Town, South Africa. 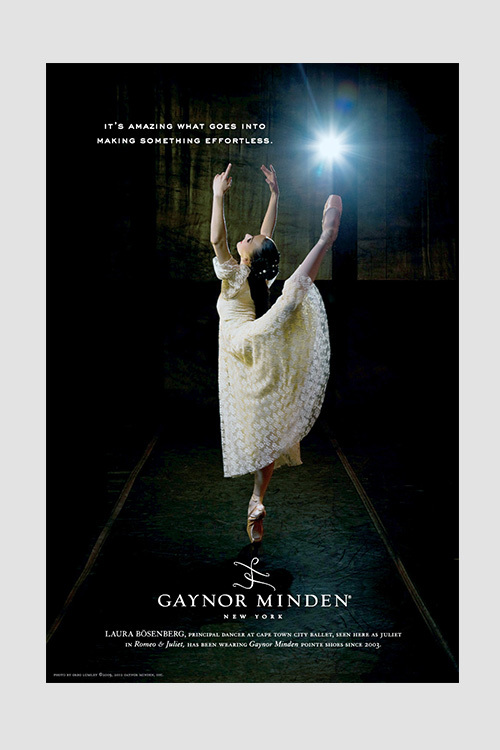 From the beginning of her career, when she won “Best Newcomer” from the Balletomanes Society, to her more recent honors — the Phyllis Spira Memorial Award and CTCB’s Most Outstanding Female Dancer of the Year 2008 — Bösenberg has been recognized and acclaimed as a major talent. Starting at age 4, Laura took dance classes and saw productions at the Opera House in Cape Town, falling in love with ballet. Natalie Swanepoel gave Laura lessons twice a week in the Royal Academy of Dance (RAD) syllabus, until Laura entered the University of Cape Town’s School of Dance. There she continued the RAD curriculum, taking classes in classical ballet, contemporary dance, African dance, dance notation, music, dance history, pedagogy, choreography, Pilates, and theater skills. While a student at the university, Laura also became an apprentice with Cape Town City Ballet; her schedule was so tightly packed that she didn’t even take any holidays! Her intensive training paid off: she was chosen to dance the Merry Widow pas de deux, partnered by Robin Van Wyk, one of the company’s principal dancers, during their gala season. During the same year, Laura also won the RAD Bursary Award Competition. Soon after, she was honored with the RAD performers Tuition Award. Cape Town City Ballet soon hired Laura for their corps de ballet, and after only a couple of years, she began dancing larger principal roles. Following her debut as Aurora in The Sleeping Beauty, Laura was promoted to soloist. 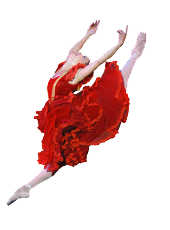 In 2009, Laura was promoted to Principal Dancer. Juliet is Laura’s favorite character. “I love the depth of character and I love the acting.” She’s also “a sucker for the fairytales” like The Sleeping Beauty andCinderella, and she enjoys the comedy ballets as well. Eurydice in Veronica Paepers’s Orpheus in the Underworld is another part Laura loves.